DC Comics has been known to give their so-called ‘B-list’ characters some shine, and often they tend to be more endearing than most, so when we heard Blue Beetle has a film in the works, we could not help but be positively hopeful. 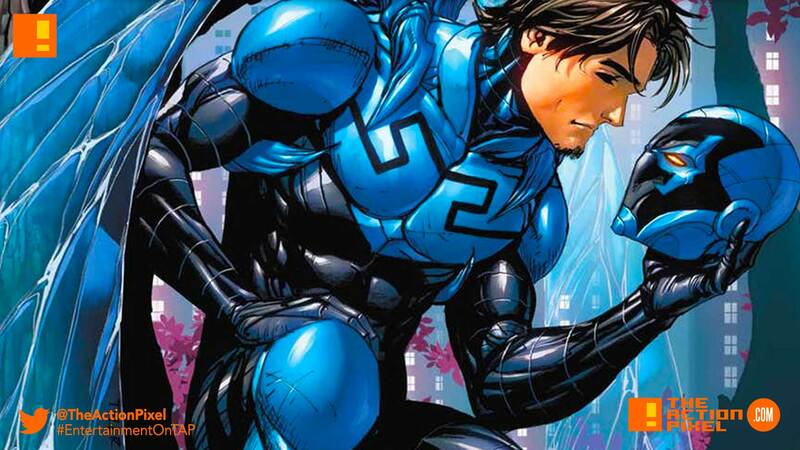 According to The Wrap, DC and Warner Bros. are developing a movie that will focus on Jaime Reyes character, which will be bring fans a Latino superhero to the forefront. A first in the DC roster of films. Well, we would say in all comic book movies ever. But then we remembered we do have an Afro-Latino Morales in coming Spider-Verse. In the comics, Mexican-American teenager Jaime Reyes is the third character to assume the mantle of the Blue Beetle after Dan Garret and Ted Kord. Created by Keith Giffen, John Rogers, and Cully Hamner, the character made his first appearance in the comics in 2006’s “Infinite Crisis” #5. His own monthly series debuted two months later with “Blue Beetle” #1 in May 2006. I always liked the Blue Beetle as it was the tech version of Dr. Fate, where the scarab technology forcefully grafted itself to Reyes and it is an ever-evolving challenge to gain control over the near-parasitic scarab. But on the switch-side, Reyes becomes endowed with abilities that would put many heroes to shame. The character has appeared in the likes of Young Justice and has been a staple in DC’s comic book roster. Representation going forward will be something people will closely watch as well, and I feel like DC can really do well here especially seeing Mexico are heavy fans when it comes to comics. And seeing that Mexican-born writer Gareth Dunnet-Alcocer – who wrote Universal’s “Scarface – is at the helm, it looks like DC’s on the right track in that department.